You have lived in the same home for a couple of years now. You have finally made the interior exactly what you want it to be. Now it is time to focus your attention on the exterior. You want to find a project that not only adds to your home’s curb appeal, but is also functional and improves the home’s value. But what? The Answer: A new vinyl fence from Hercules Fences in Northern Virginia. We are the largest fence company based in Virginia. And with over 50 years in the fence business, Hercules Fence knows a thing or two about fences of all shapes and sizes, including vinyl fences. Curb Appeal: First and foremost, vinyl fences are incredibly attractive, adding that much desired curb appeal you are after. Durability: Vinyl fences are also some of the most durable fences on the market. In fact, vinyl fencing is nearly five times stronger than wood. Vinyl fences are also incredibly flexible, making them the perfect fences for areas with severe weather and high winds. Low Maintenance: Not only are vinyl fences stronger than wood fences, but they also require A LOT less maintenance. While wood fences need to be power washed and painted/stained annually, vinyl fences are easy to clean (just use soap and water). Affordability: We know what you are thinking; with so many benefits, vinyl fences have to be expensive, right? Well, not exactly. A vinyl fence from Hercules Fence of Northern Virginia is actually much more affordable than you probably think. As you can clearly see, there are several reasons why vinyl fences have soared in popularity the last several years. These fences offer aesthetic appeal and durability with very minimal maintenance. 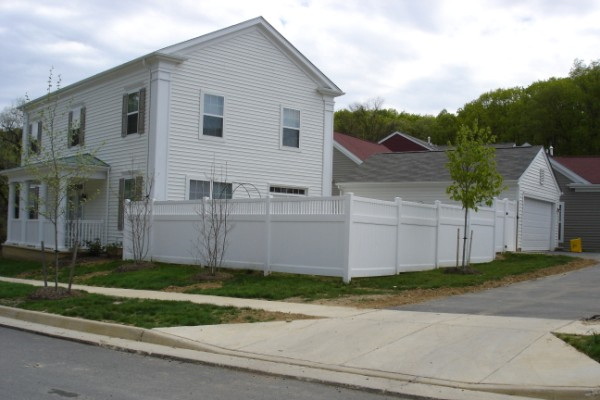 If you have any questions about Hercules Fence, your source for Vinyl Fences in Northern Virginia, you can reach us at (757) 316-3600 or visit FencesNewportNews.com today! Hercules Fence has been providing professional fence services and installation throughout Northern Virginia since 1955. You can also follow Hercules Fence on Facebook, Twitter, Google+ and YouTube while you are at it! This entry was posted on Thursday, September 26th, 2013 at 8:40 pm. Both comments and pings are currently closed.